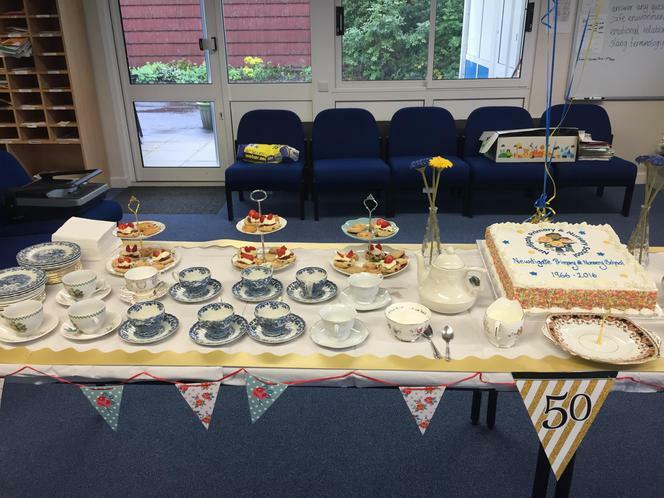 Last week we celebrated the school's 50th Anniversary, with a series of activities. 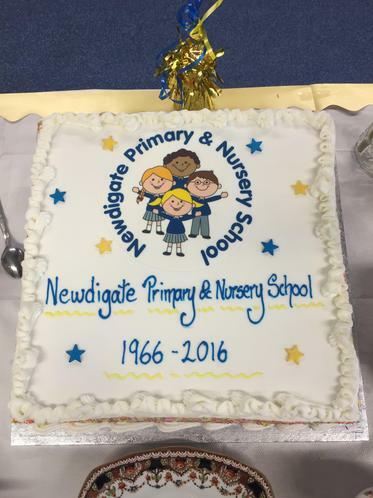 On Monday morning, we held a special assembly where past staff and governors attended to tell the children some stories about their time at Newdigate and how it had changed over the years. Children were also shown pictures of how the school used to look compared to now. 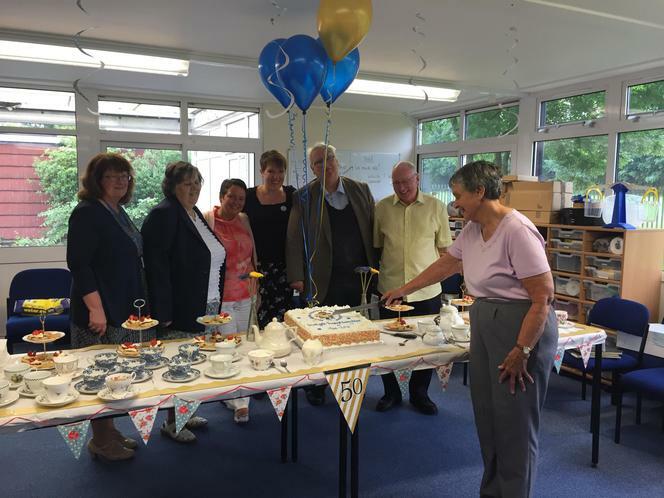 After the assembly our visitors enjoyed a tour of the school as well as some refreshments and a slice of special cake! All pupils also received a piece of special cake too. 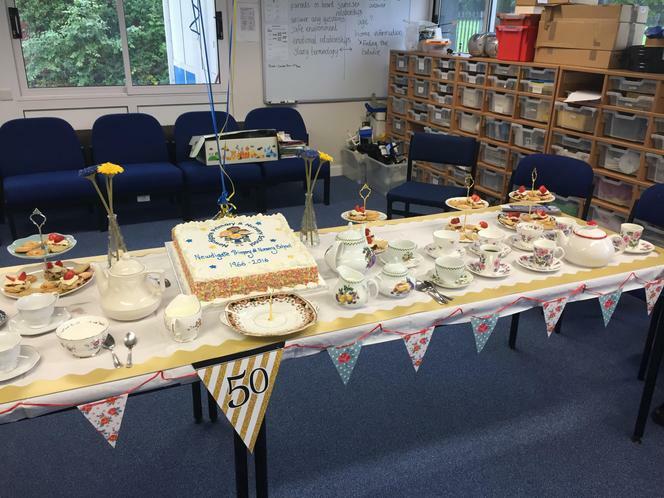 All week, each year group were given a specific decade to research in the school's history as part of their class work. On Wednesday, all children took part in making a very special commemorative mosaic which will be displayed outside school very soon. Finally on Friday afternoon, there was another assembly, where each class shared what they had learned about their given decade. It was a wonderful week and keep your eye on the website as we will be adding more pictures as we can. Please feel free to pop in and have a look at the stunning display in the reception area of past photographs etc if you can too.